The death toll from Mexico’s powerful earthquake has risen to 292, officials say, as rescuers race against the clock to reach trapped survivors. President Enrique Peña Nieto said that rescuing and attending to those injured by Tuesday’s 7.1 magnitude quake would remain “the highest priority”. The quake toppled dozens of buildings and left millions without electricity. Rescuers believe that people may still be trapped alive in as many as 10 buildings in Mexico City alone. The new death toll was announced by Mexico’s emergency services chief and the president’s office. A spectacular story of a survivor who was rescued because her mobile phone message went through to her husband is recovering in hospital. Although this provides some hope for the missing, it is rarely that such good news follows such a tragic event. 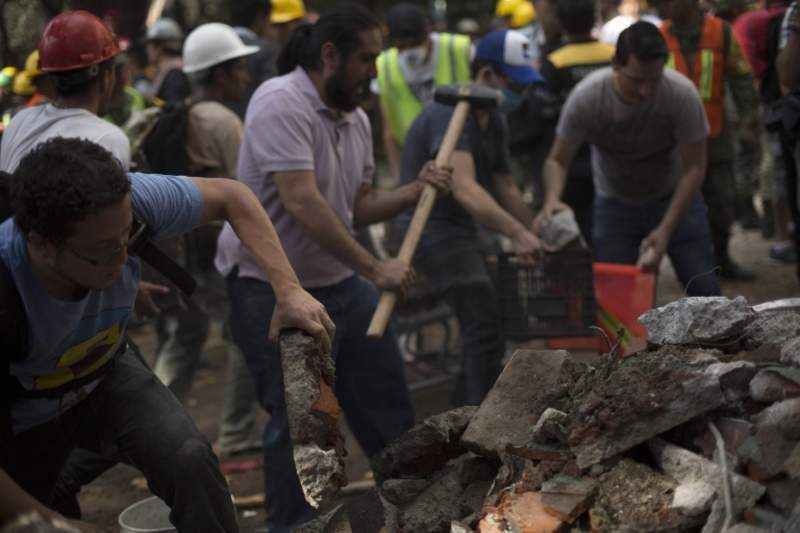 In Mexico City, thousands of soldiers, rescuers and civilians – including college students — were working side by side to dig through tall piles of rubble from dozens of crumbled buildings. More than 500 members of the army and navy together with 200 police officers and volunteers have been working at the site. Mexico is no stranger to earthquakes and Tuesday’s tremor struck shortly after many people had taken part in an earthquake drill on the 32nd anniversary of the deadly 1985 quake. The search for survivors continues.